A hospital has backed down over plans for patients to recuperate in people’s homes as part of an Airbnb-style trial. 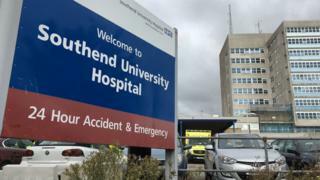 Southend Hospital in Essex said it has “no intention… to support the pilot at this time”. The trial by healthcare start-up CareRooms involves 30 hospital patients staying in local residents’ spare rooms while waiting to be discharged. It had been criticised by politicians and health groups as a “ridiculous” idea. Labour’s Shadow Health Minister Justin Madders said the scheme would be a “sticking plaster” for wider issues in the care sector. The hospital had previously said “only preliminary discussions” had been held, but has since clarified the pilot would not be supported until certain criteria had been met. Deputy chief executive of Southend University Hospital NHS Foundation Trust, Tom Abell, said: “While we welcome and encourage new ideas and innovation, there is no intention and there never has been for the hospital to support this pilot at this time. Earlier, CareRooms said it would recruit “hosts” whose properties had spare rooms or annexes with a private bathroom to create “secure care spaces for patients who are waiting to be discharged”. The hosts – who would earn up to a maximum of £1,000 per month – would not need any previous care experience but would need to go through security checks to be approved for the scheme.